A place to sit has to be at the top of the ‘family kitchen’ wish list. Whether you have space for an island or just a small breakfast bar with a couple of stools, it’s a must to have some seating so that the room can be used for more than just cooking. Having some seating automatically makes the space sociable where spouses can perch for a chat and teens can sit for a while (albeit looking at their phones!) 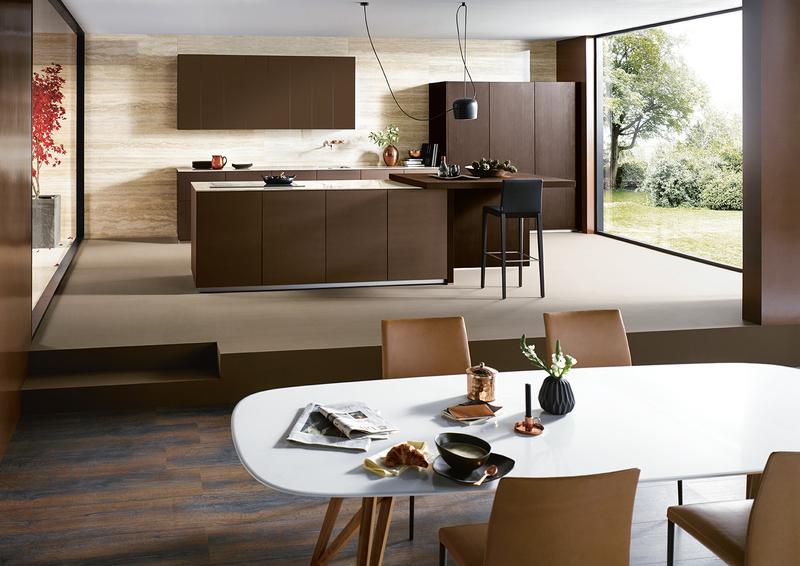 Ideally you’ll be able to create plenty of space for a dining table and chairs where family meals can linger. The best kitchen layout for you and your family can make or break your new room. The layout will depend on the kind of environment that you’re trying to create. 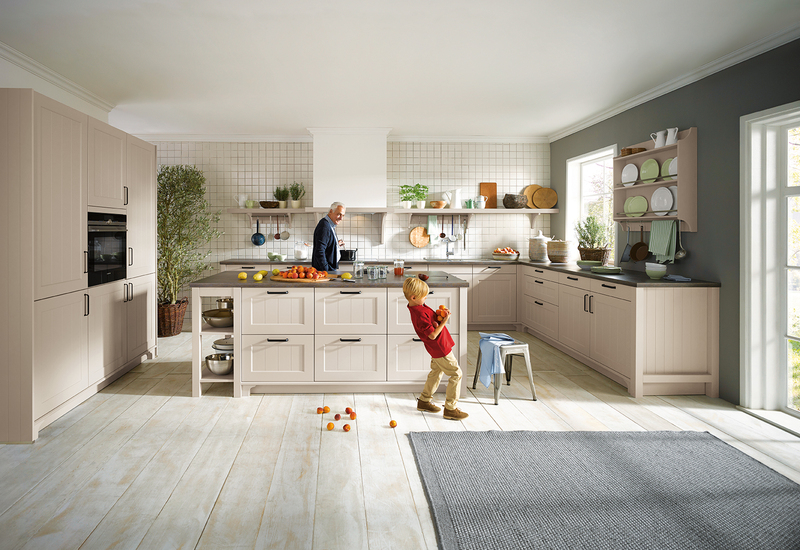 If you prefer to keep a ‘child-free’ zone, a peninsular or U-shaped layout will keep one end of the kitchen area closed off, discouraging the youngest family members from getting under your feet. If on the other hand you prefer a family-orientated space, an open plan arrangement with an island or an L-shape layout will allow the family to freely access the kitchen area and the multi-purpose zones will blend into one large welcoming space. It’s essential for your kitchen to be able to withstand day to day life and a young family will certainly put it through its paces. 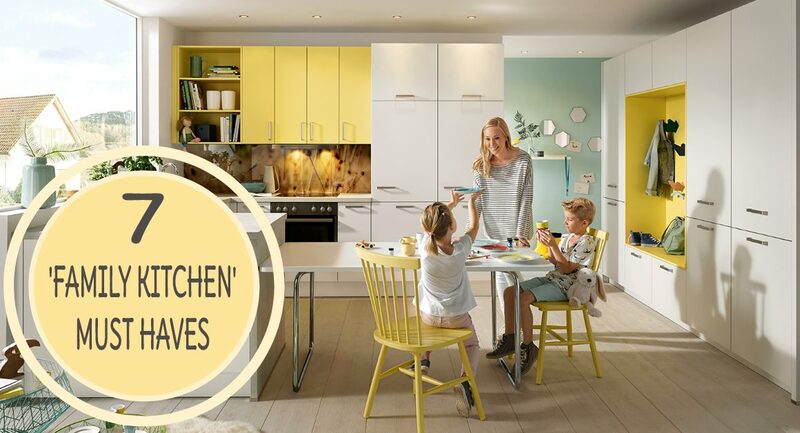 With some careful planning though, you can ensure your new kitchen will stand the test of time and still look great once the kids have flown the nest. 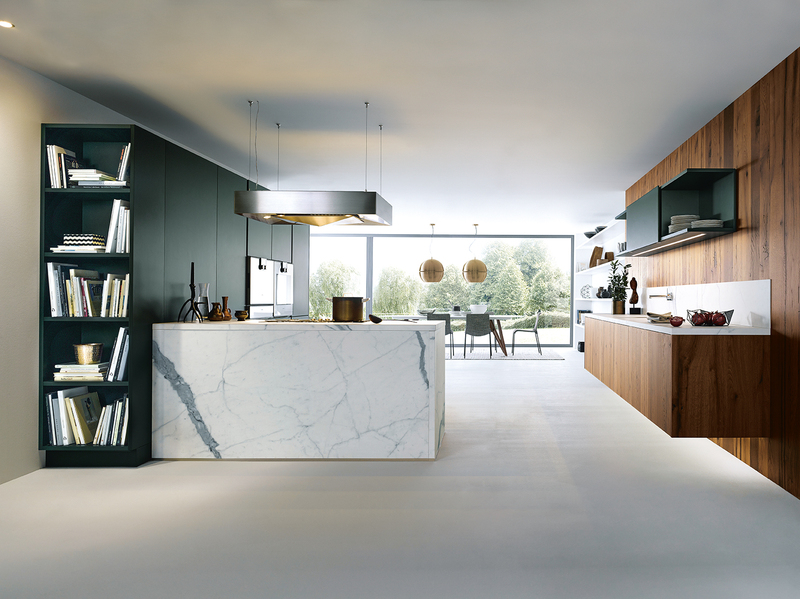 Dekton, Glass and Ceramic work surfaces are by far the most durable – they’re scratch resistant and highly heat and stain resistant. In fact, Dekton is the only work surface guaranteed against heat damage from pans being placed on it. Granite, Quartz and Corian are next in line for durability as they’re also heat resistant and any small scratches can be sanded out of Corian leaving it looking as good as new. To ensure that your new kitchen becomes the heart of your home, make space for some comfy seating and a TV and it’s bound to become the room that you all gravitate to! Wipe clean leather is preferable for the sofa or chairs as they’re less likely to absorb smells from cooking and are great with small children’s spillages and/or pet hairs. If you have small children, you could incorporate a play area near the seating with the use of hidden storage for toys and a soft rug for them to play on. If you’re updating your kitchen to create a space to cook, work and relax in, you need to make sure that you future-proof it by installing plenty of electrical sockets in the right places for all the devices belonging to the family, now and in the future. 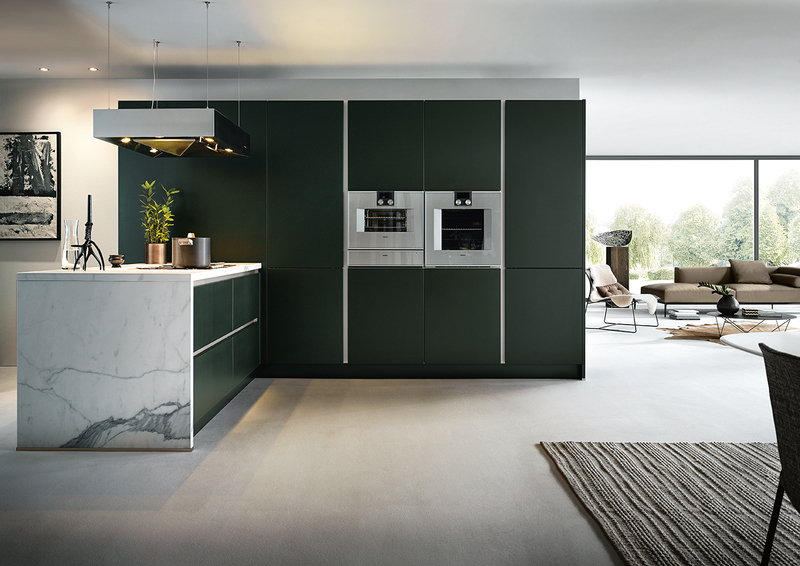 There’s also some innovative technology available that can be designed into your new kitchen to enhance life in your new room. An integrated sound system which turns any flat surface, such as plinths, into a speaker is ingenious. 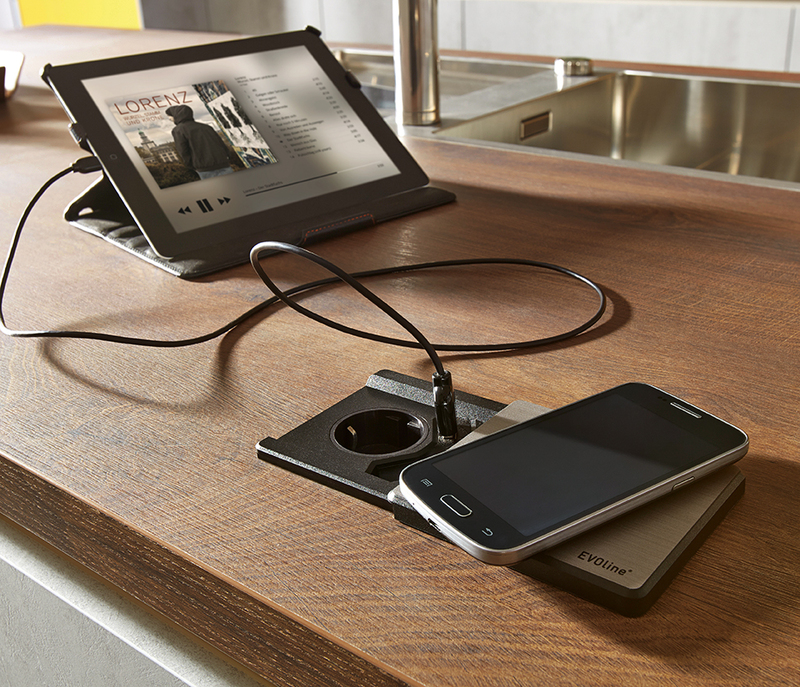 A wireless charger fitted into the work surface is another tech options to consider and wall panelling that include an iPad holder means you’re never far from your favourite box-set. A wireless phone charger point can even be integrated into a Corian worktop with just a small dot showing the ‘hotspot’…clever stuff. If you’re creating a multi-functional room, the chances are you’ll require different grades of lighting for the different activities going on. In the daytime the kitchen is a hive of activity with kids and adults in and out so it needs to be well lit. Good lighting is essential for the cooking area too and spot lights work well for this zone. Low hanging pendant lights above the dining table work well and, if fitted with a dimmer switch, the strength of lighting can be varied depending on whether the kids are having their tea or if you’re having a romantic meal with your other half. The seating area will require some ambient lighting so that you’re able to relax in the evening and table lamps work well for this area. Life is tricky enough. 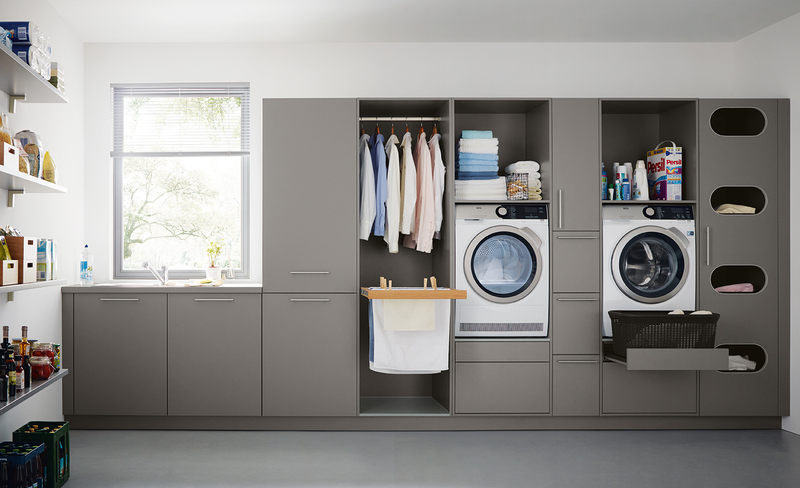 Juggling work and family life isn’t easy so why not make things a little simpler by making mindful choices and opting for appliances that are designed for convenience. If you have a baby (or are planning one) choose a dishwasher that heats to 90°, which may eliminate the need for a separate bottle steriliser. An induction hob is more efficient than gas and isn’t hot to the touch so is a lot safer with young family members milling about. It’s worth considering washer-dryers that have large capacity settings to cope with the amount of washing a family produces. Boiling hot water taps are another brilliant time saver. You can get your coffee-fix instantly, warm the baby bottles without waiting for the kettle to boil and get that pasta cooking quicker for your 5 year old…possibly all at the same time!